A checklist is a list of things or items to be done or considered, usually in a particular order. 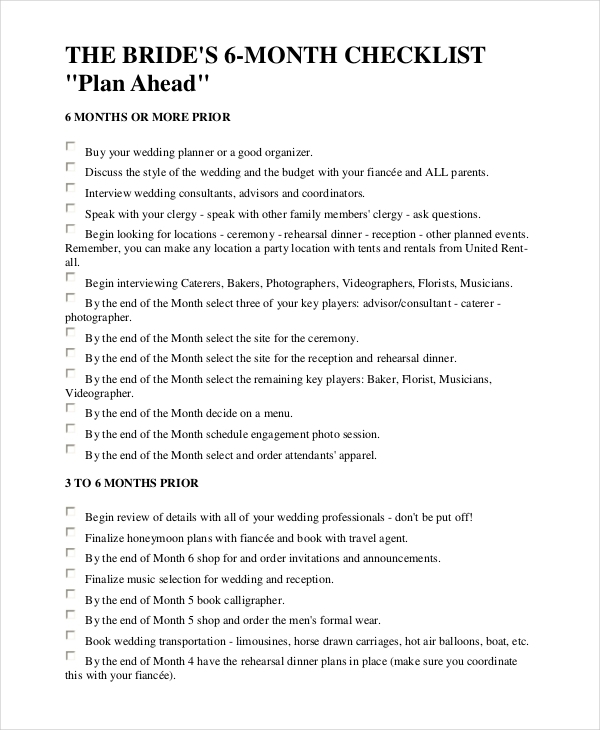 Every event plan needs to have a checklist. Why? Because a checklist ensures that the planner does not miss anything important in preparing for an event. There are countless of checklist uses that we know of, and one of them is to aid the limited capacity of the human memory. Our memory, as we age, becomes even more limited. As a result, we forget a lot of things and miss a lot of things in the process. 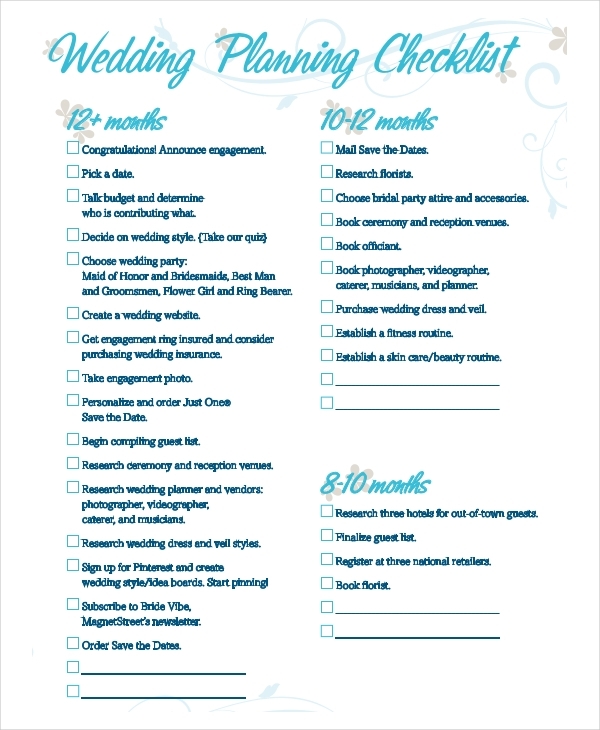 Which is why we need checklists, especially in plan important events like weddings. 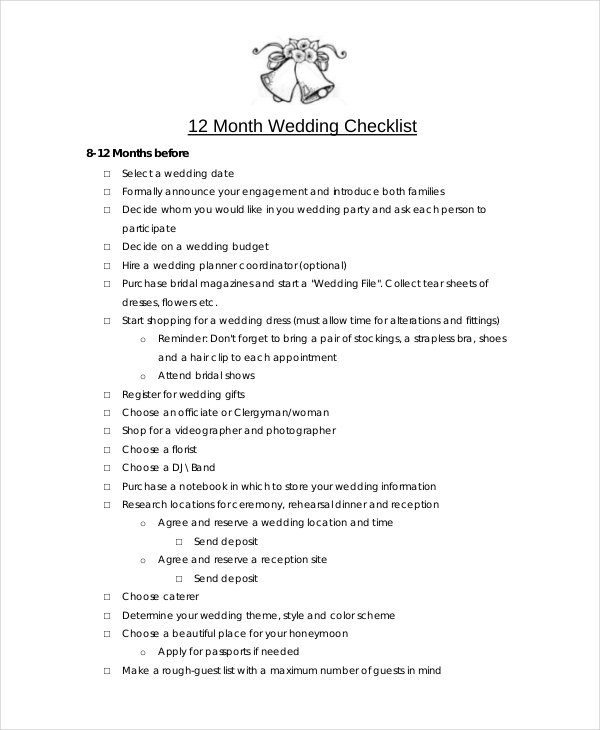 A wedding checklist is a detailed list of tasks to be acted upon, and things to be prepared for the wedding either by the bride and groom, or by a wedding planner. 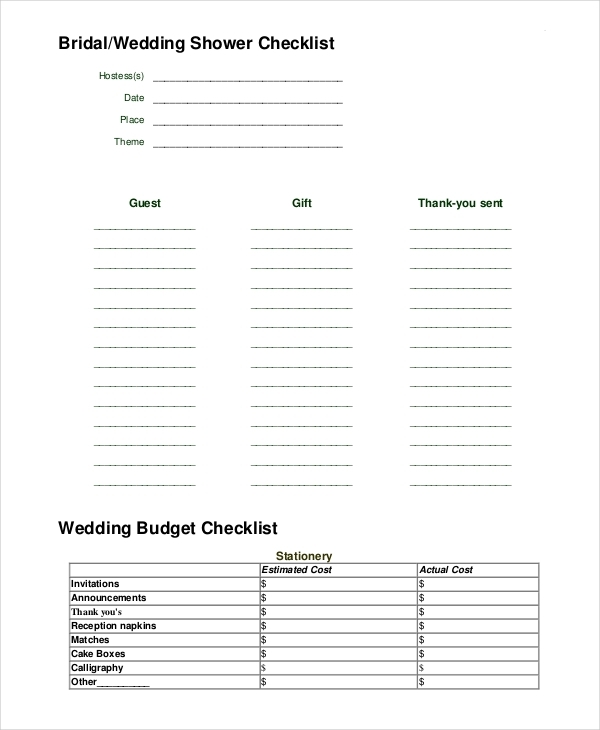 It serves as a planner or a to-do list, listing everything needed for the wedding. 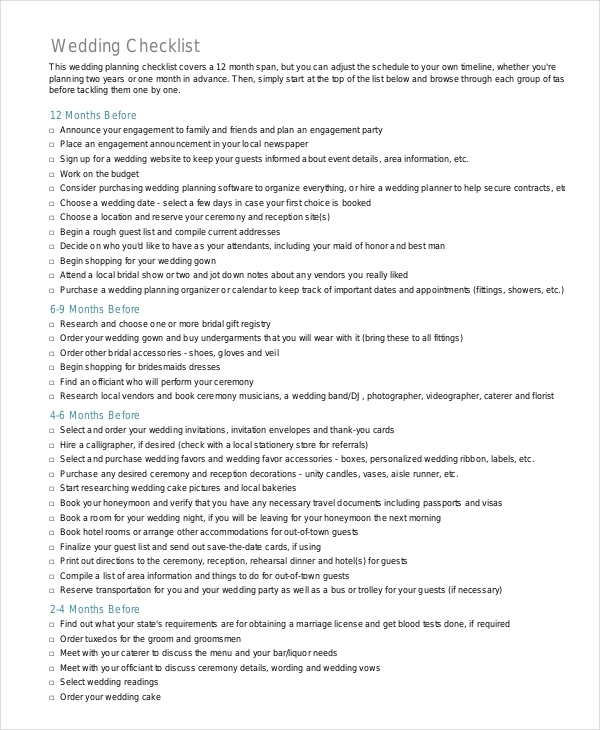 Wedding checklists include different tasks in order, with the most important ones being the top priority, and a timeline of tasks from day one of the planning period until the day of the wedding. 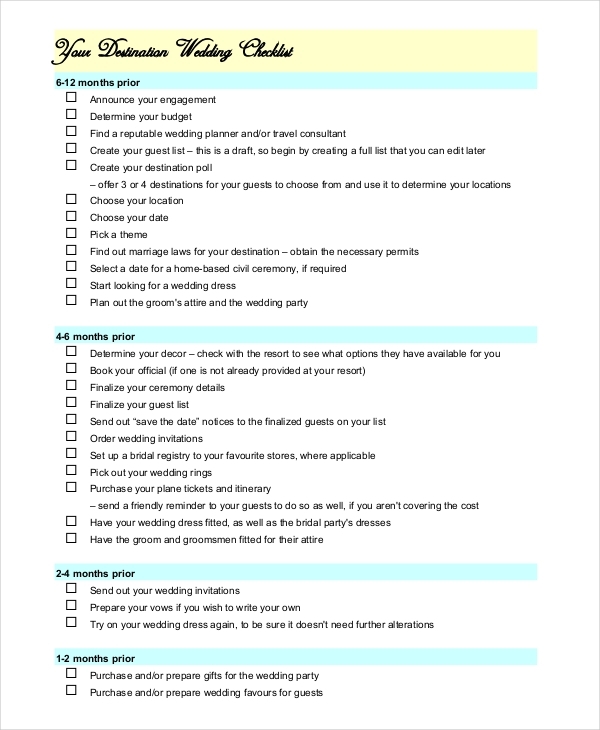 If you’re planning to design your own wedding checklist, you may want to take a look at some checklist examples in PDF format found here. 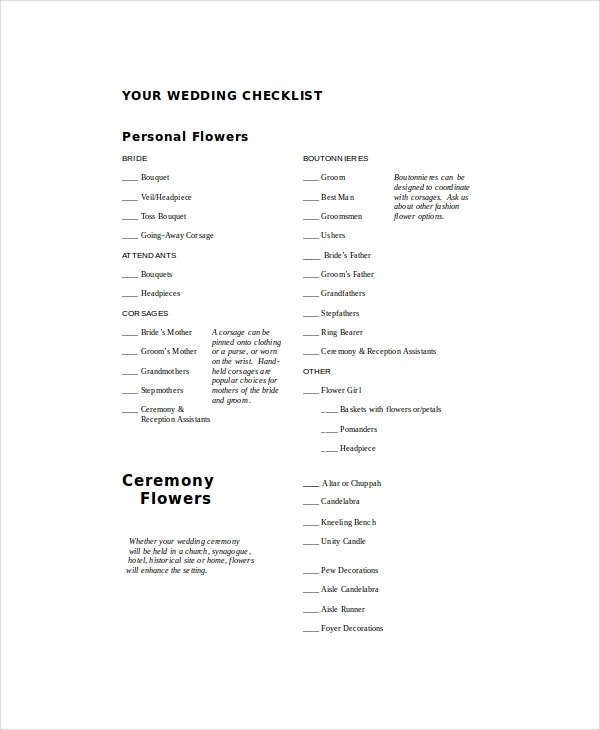 In the simplest sense, wedding checklists intend to keep everything organized until end of the wedding ceremony (translation: less stress and drama for you). They will help you monitor everything, from the most to the least obvious details, helping you see easily if you miss something. Quality checklists, however, can be a bit messy. You might keep on adding and removing things, thus, it is always best to create a checklist ahead of time. This will also help you establish priorities, and leave enough room for changes and improvements. You might want to check out some checklist examples in word format for your convenience. Plan ahead of time. This will ensure that you do not miss anything important, and if you do, you will still have enough time to get them done. Determine what you need to do and the materials you need to buy as well as other important matters to be taken care of. Write in a clear manner. 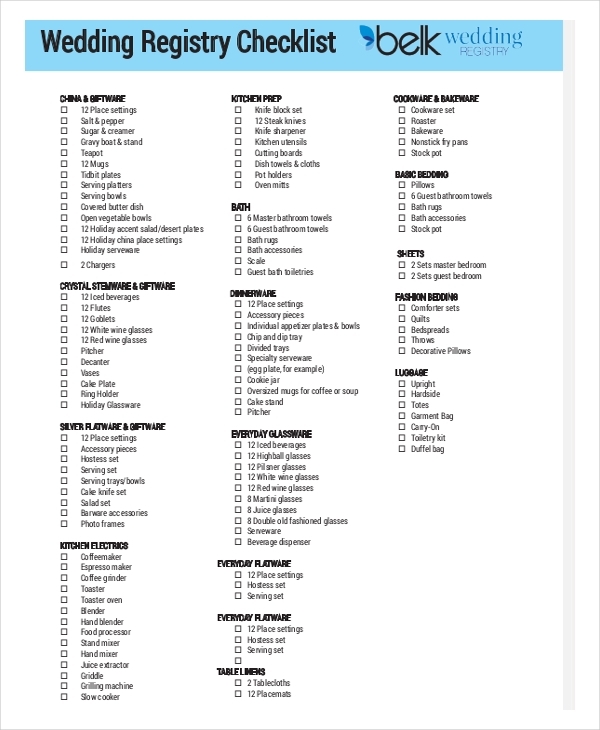 List everything you need prepared. Make sure you understand what you write, and avoid using vague phrases. Be clear and specific. Categorize. List the things of high priority into one category, and write the ones of least priority into another. Check your checklist from time to time. Reread your maintenance checklist or training checklist to see if there are still things you need to do or prepare. Ask for a second opinion. 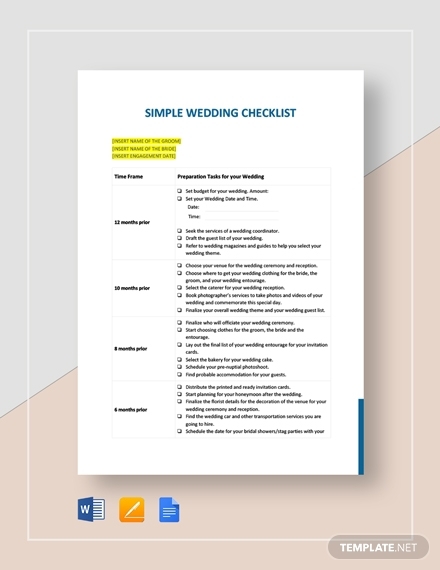 If you’re a planner, consult the bride and groom before making the checklist or changes to the checklist. If you’re the bride or groom, consult your partner.